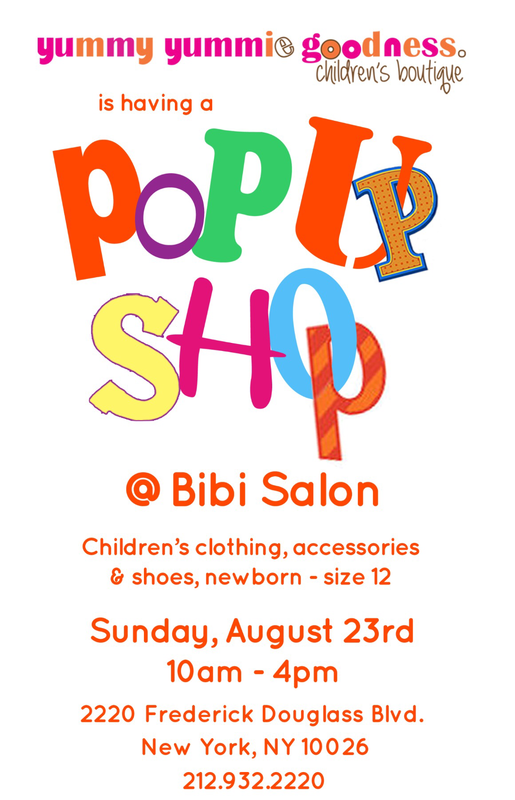 Kids clothing Pop-up shop August 23 at Bibi Salon in Harlem | HarlemGal Inc. This entry was posted in business, Community, Events, fashion, Frederick Douglass Blvd., Free!, Harlem bloggers, Harlem blogs, Harlem businesses, HarlemGal, Things to do in Harlem, Things to do with kids in Harlem and tagged 2220 Frederick Douglass Blvd., bibi salon, Harlem, Harlem Kids. Bookmark the permalink.